Warmer weather is finally working its way into the forecast which means it’s time to shake off that dull winter wardrobe and dive headfirst into brighter, lighter spring gear. But what’s on trend this season? 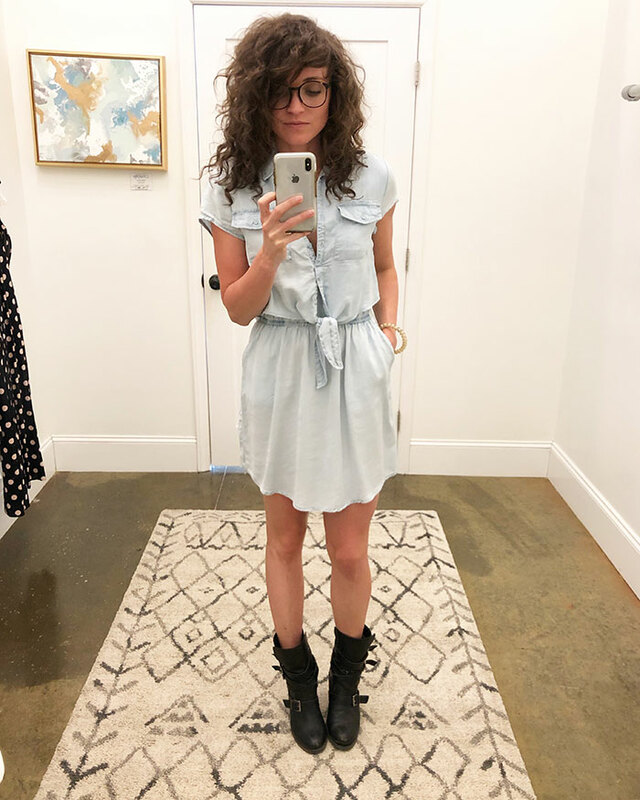 I pored over runway reviews to see which trends would be big for spring and then drove around to local boutiques to see how that’s translating as everyday wear in a city that’s not exactly on the map as a major fashion hub. A lot of the high-fashion trends haven’t found their way here and, honestly, it’s probably for the best with things like plastic coats (our climate won’t allow for such suffocation), fishnet garments (and not just tights) and biker shorts (kill this trend). But I found CLT-approved iterations of some other big trends available in town. 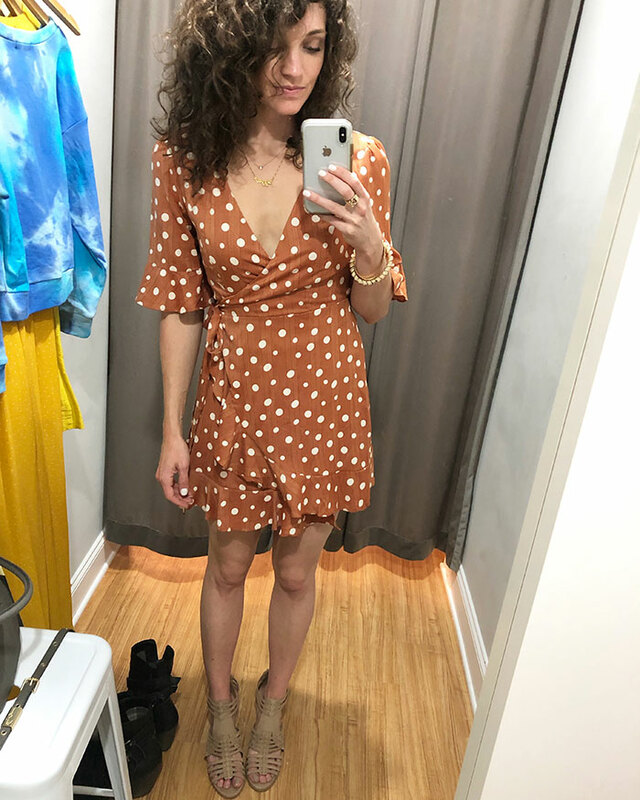 Follow me to the fitting room for a casual, unedited, un-styled look at the themes I saw popping up at multiple shops — priced from $42 to $995. Where available, I’ve included links to purchase online. The cutesy print adds a little whimsy to casual day dresses and more formal maxis. 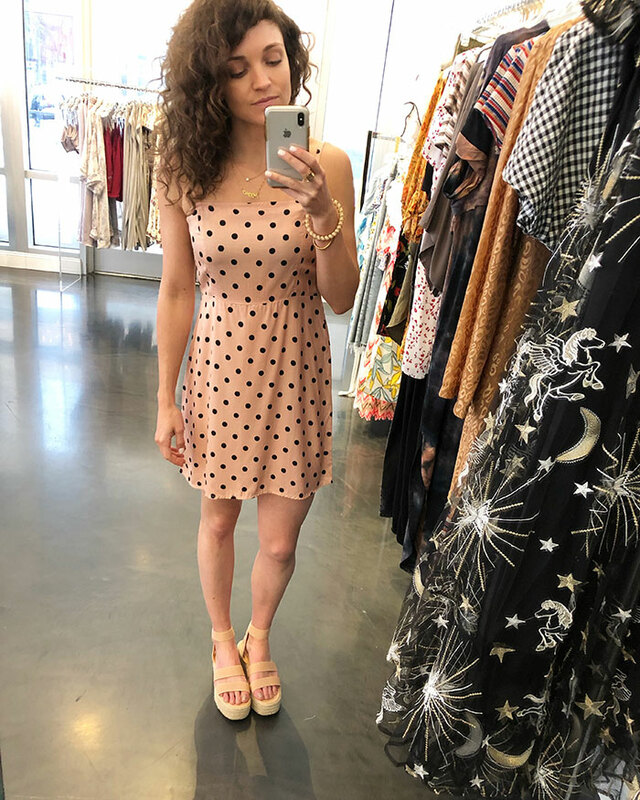 Stripes still reign supreme in the pattern department so if you want to stand out this season, go the polka dot route instead. 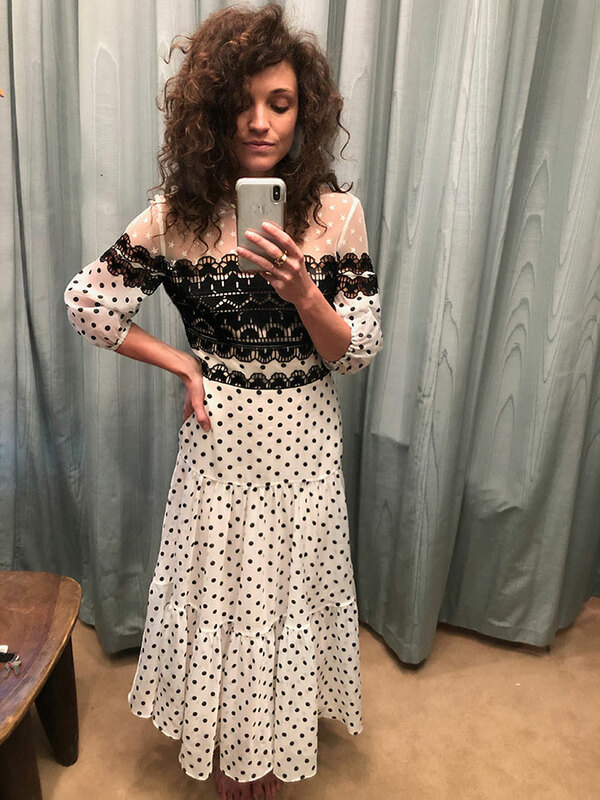 There’s a lot going on here with the sheer stars and stark black and white polka dot pattern but it somehow still feels grown up and understated. I felt so cool in this. 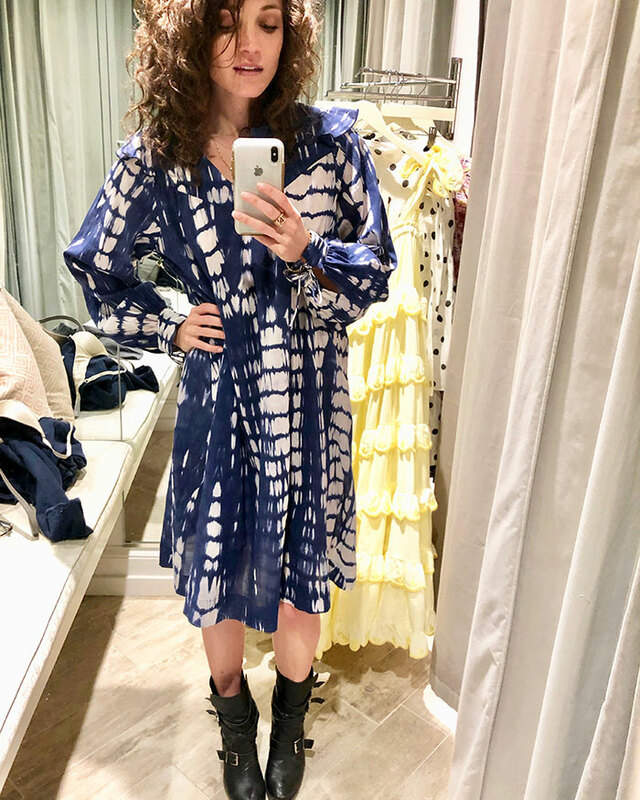 The no-fail wrap dress with subtle ruffles at the sleeves and hem is perfect for casual patio hopping. I love the varying sizes of the dots, giving it a more organic look. The 90s are alive and well with this spaghetti strap mini. 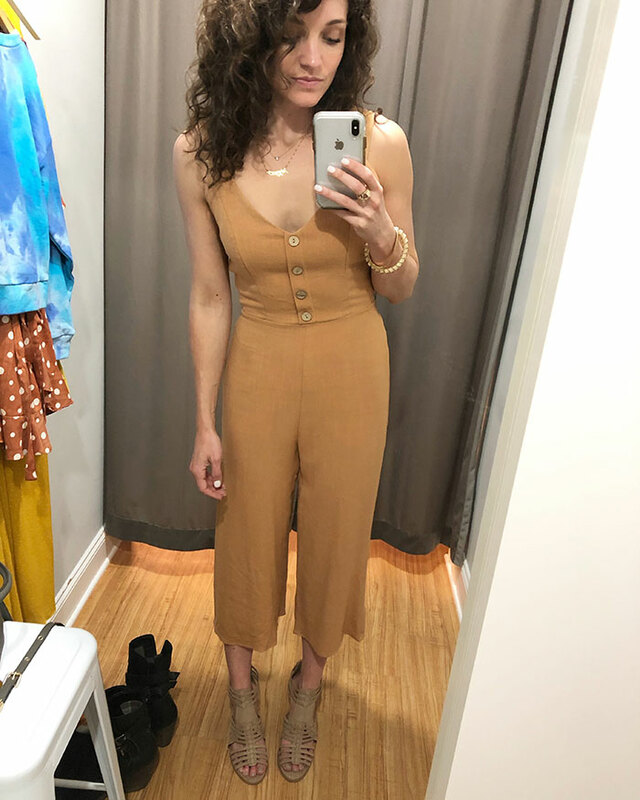 We need to hold on to the revival of 90s clothes for as long as possible because before you know it we’ll be wearing velour jumpsuits a la the early 2000s and I’m not ready. 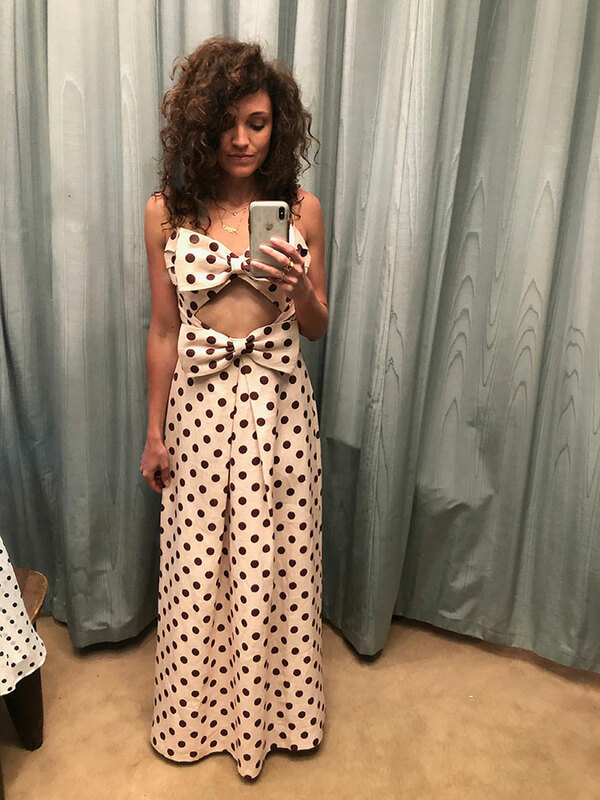 Not one but two giant bows, bold black polka dots and a peekaboo cutout make this dress everything I never knew I needed – but it’s divisive. 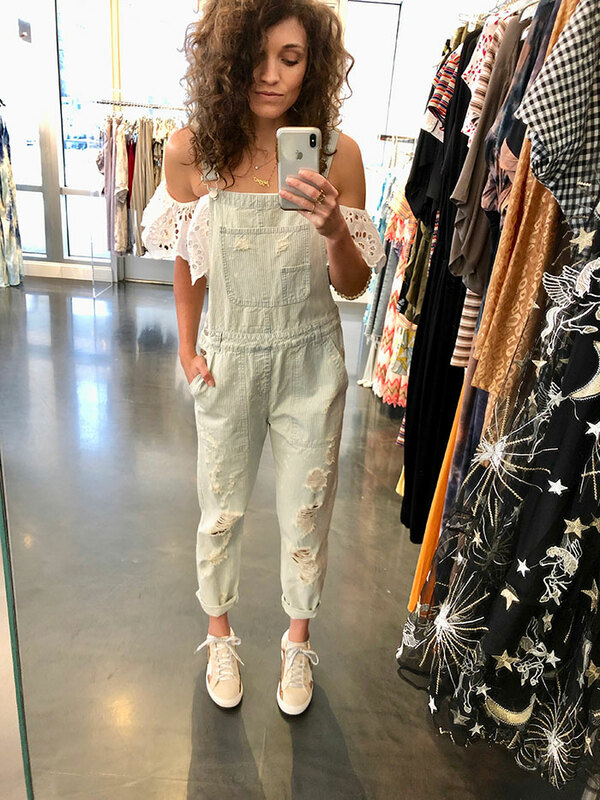 I shared it on Instagram and comments ranged from “LOVE” to “Don’t wear that.” For the record, I would absolutely wear it. Small white dots on a neutral dress make for a quieter take on the polka dot trend. 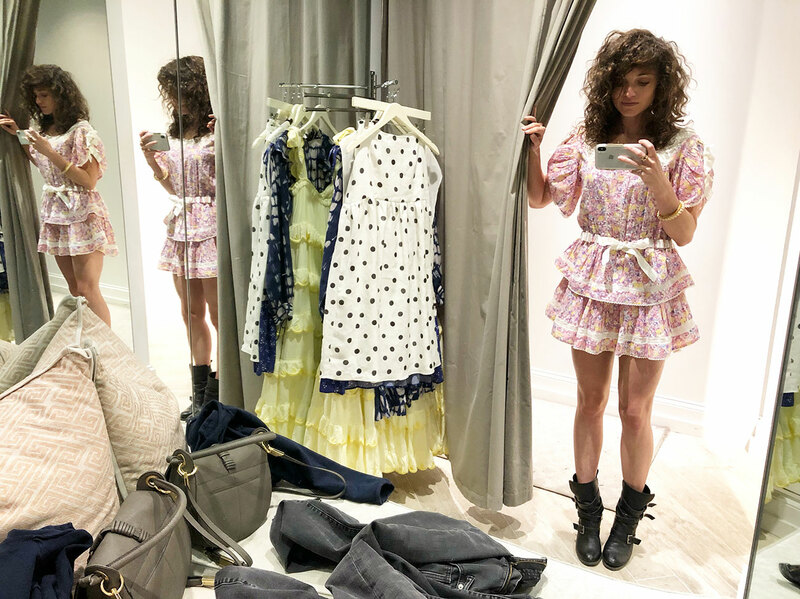 These playful, frilly, feminine dresses are in direct opposition to my more androgynous style code of tailored jumpsuits and jeans but I’m actually obsessed. Invite me to your garden party. I’m ready. Twirling is mandatory in one of the more delightful garments that’s ever graced my body. 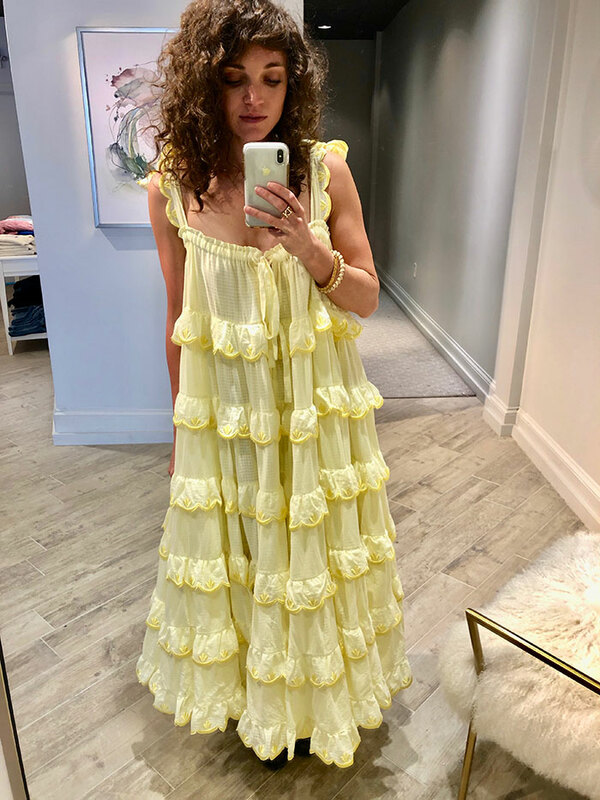 If the mini babydoll dresses aren’t your speed, opt for mountains of fabric with this ruffled maxi. I want to live in this. This is the new me. Nothing screams SPRINGTIME like pastel florals and cascading ruffles. I love that the skirt cuts higher on the side and then drops a bit lower in the back for adequate coverage. 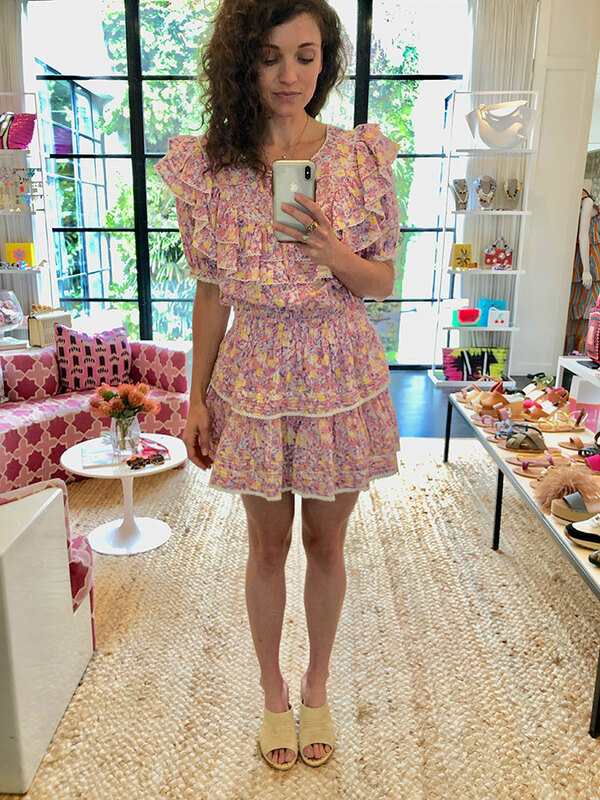 I love the chevron detailing down the front, the tiered skirt with a bit more length than other babydoll style dresses, the peekaboo open waist, the bold shoulder and the more subtle floral pattern. 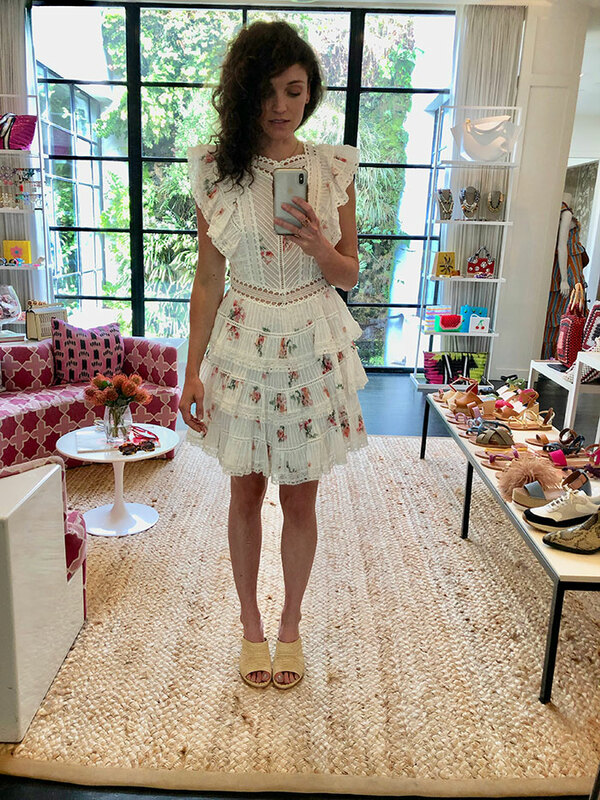 Although similar to the other LoveShackFancy babydoll dress above, this one goes full on Little Bo Peep with an extra bow and lace detailing. Although not styled on purpose, I actually don’t hate giving it a little edge with my biker boots. 10/10 would wear. The casual hippie print is back in a big way but not the bold rainbow design that probably comes to mind. Look for muted neutrals and earth tones that are less in your face. Me all summer. See ya. 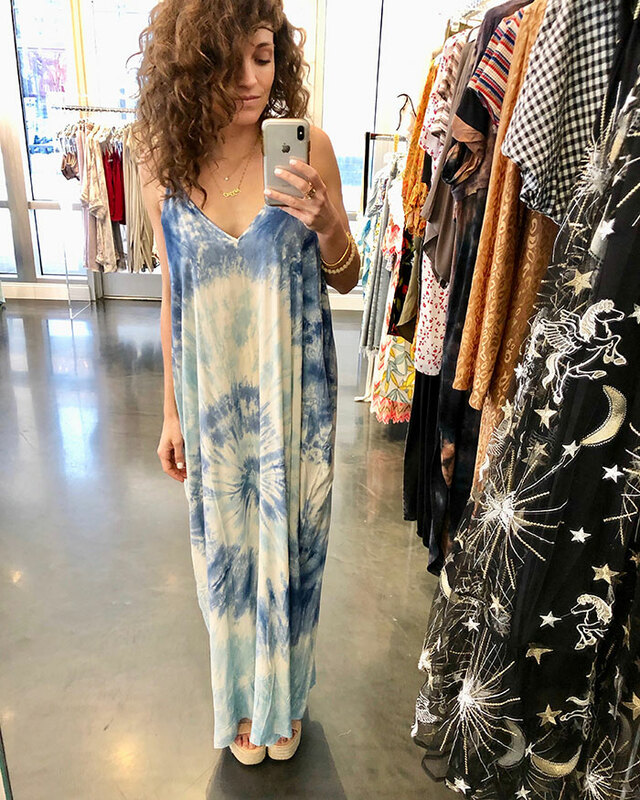 Add pumps and a belt and this tie dye is workplace appropriate if you ask me. 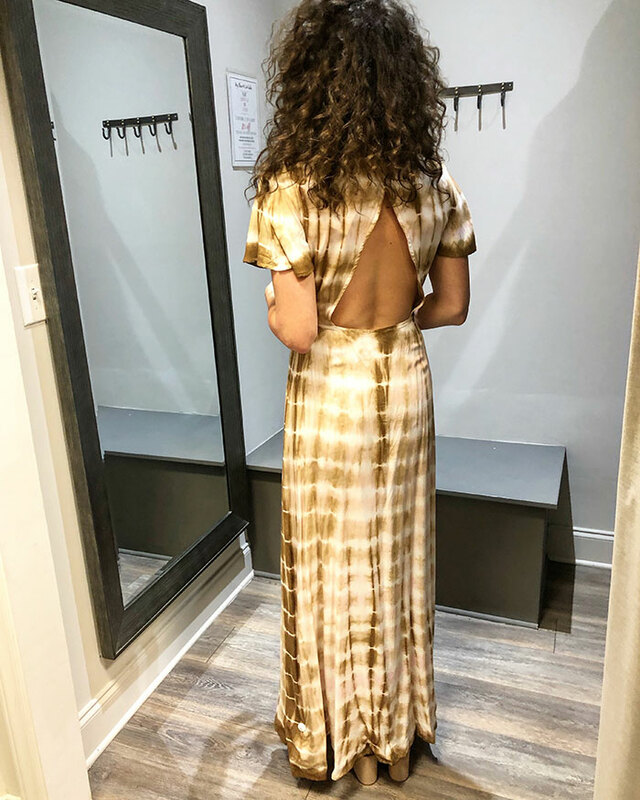 The open back on this neutral maxi is an absolute jackpot. Tailored neutrals in traditional cuts are my fashion love language so this trend can stick around for all eternity. The big button detailing is back again. This is also everywhere this season. 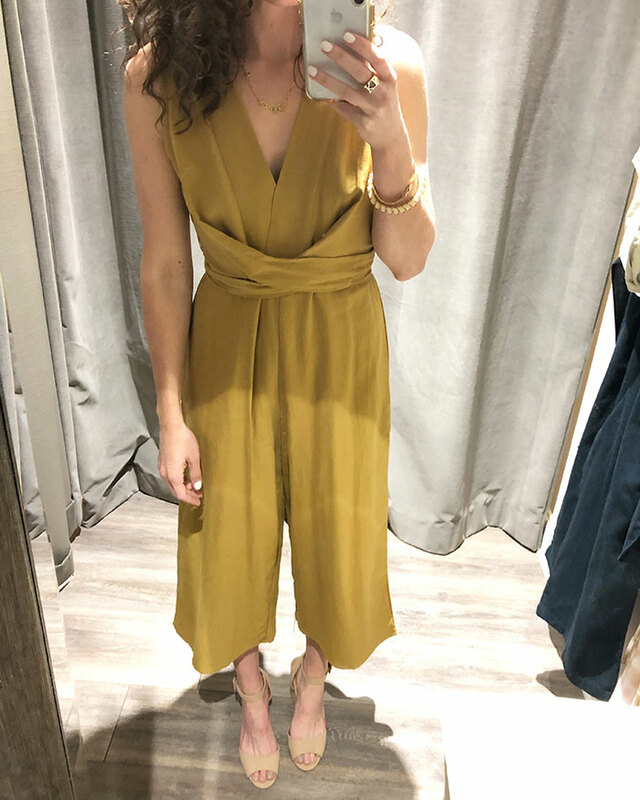 Never met a tailored jumpsuit I didn’t love. This is no exception. From the front it’s pretty reserved with modest side cut outs but the back is wide open. Surprise! I bought this for a trip to Miami. It looks like two pieces with a skirt and casually tied crop top but is actually a dress. Took this one home with me. 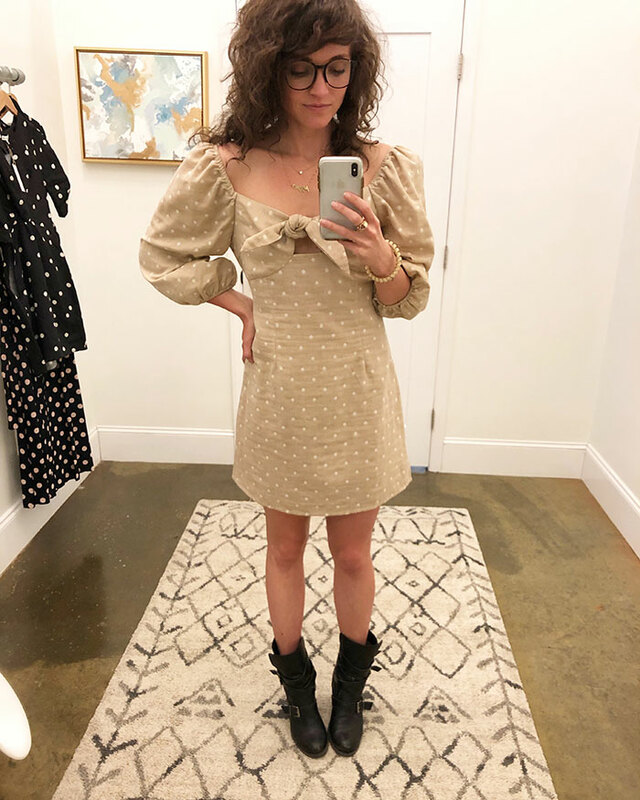 After encountering countless minis, I was happy to see a below-the-knee midi cut on this classic linen dress. The built-in tie gives it great shape. Orange and lavender were also big colors in the major trend reports but I saw lots more yellow and a bit of pale blue around town. There’s a lot of fabric here but it’s sheer and light enough for warmer weather. 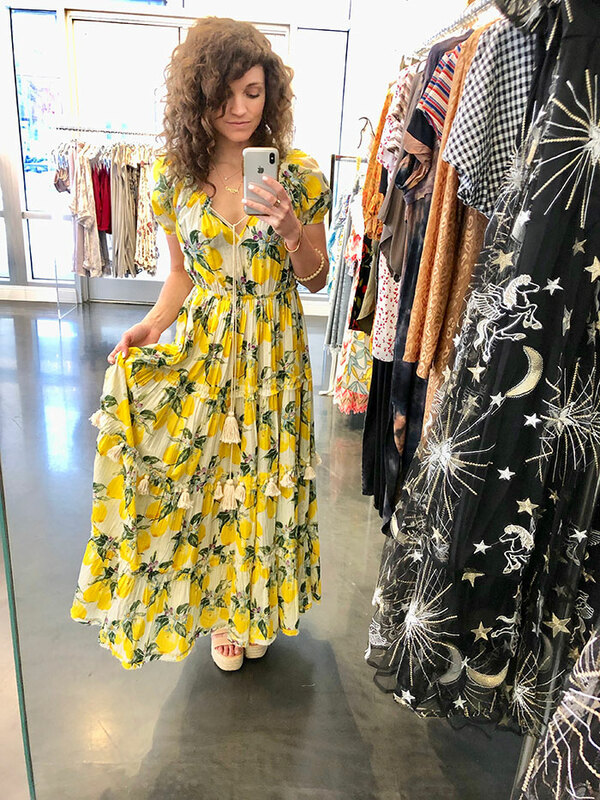 This little lemon number speaks to my preference for fruit and foliage prints over traditional florals. 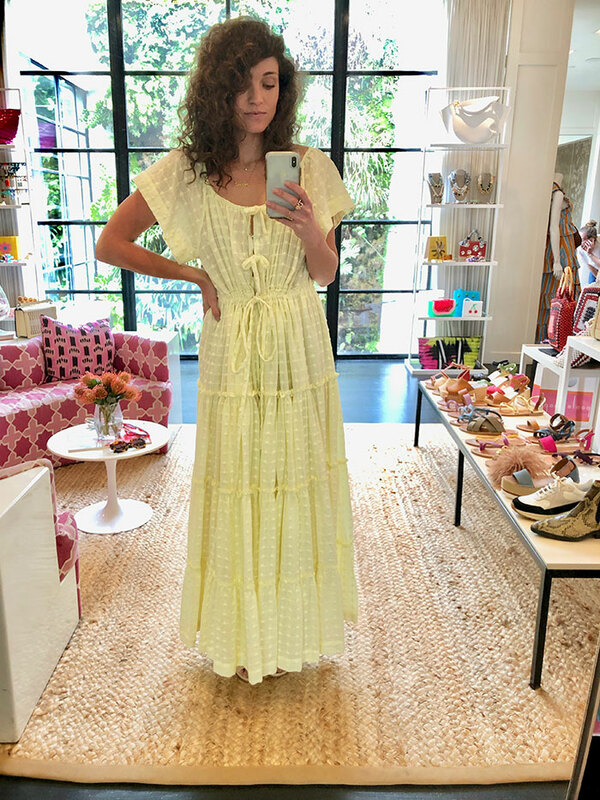 Paging Cher Horowitz. I’m a solid 10 years too old for this Clueless-inspired set but it’s a fun transitional look with a mix of cozy winter sweater material and a “Hello spring!” super short cut. A bold move. 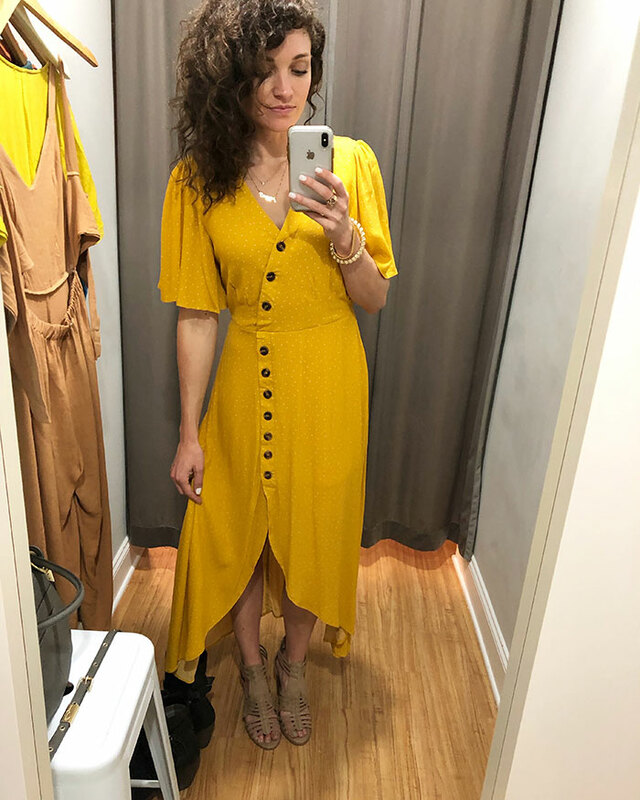 Although brighter yellows are on deck for spring, no one will judge if you choose to interpret the trend with a moodier, fall-appropriate mustard hue. I’m into it. Polka dots, big buttons and yellow in one piece. On trend at all levels. 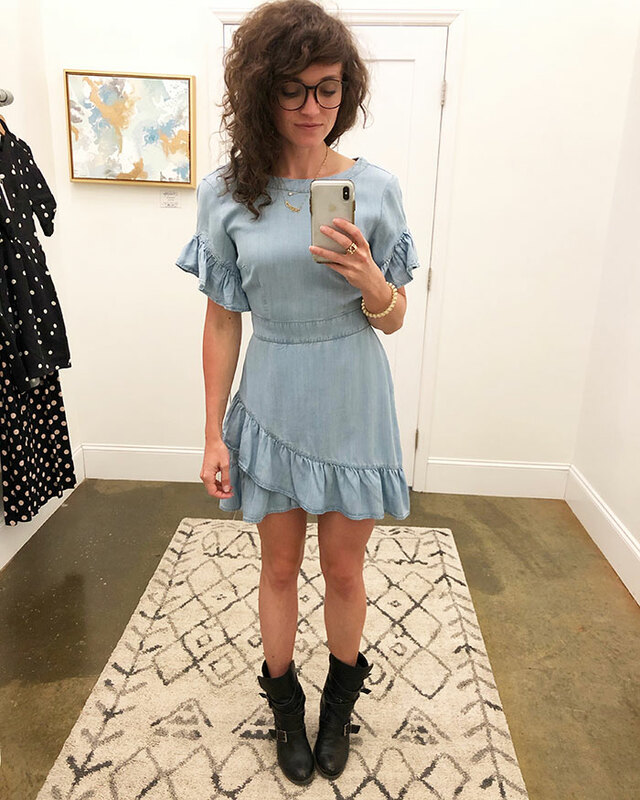 Alright alright it’s chambray but it reads as pale blue and is working the ruffle trend too. I bought this.